There’s nothing like home renovation for finding skeletons in the closet or otherwordly portals in the attic. Now, for any homeowner who’s ever wondered, “What’s that creaking sound?” or fans of “how to” television who’d like a little unreality mixed in with their reality shows, editors Charlaine Harris and Toni L. P. Kelner present the paranormal perils of Do-It-Yourself. Home Improvement: Undead Edition is another collection of short stories put together by editorial partners Charlaine Harris and Toni L.P. Kelner – who were also behind the creation of the popular “Many Bloody Returns” and “Wolfsbane and Mistletoe” anthologies. The central theme for this collection is home improvement in one form or another but in these urban fantasy stories the definition of “home” has occasionally been stretched far beyond the normal. This anthology contains 14 short stories – all around 25 pages in length. Some of the contributions are from well known urban fantasy authors while others are from authors who are perhaps better known for their mystery or crime fiction. In terms of quality the stories are a mixed bunch and the best offerings are not necessarily from the authors you’d expect. The weakest story in this collection is “If I Had A Hammer” by Charlaine Harris. This came as something of a surprise since this author has top-billing and the book uses the “Never-before published Sookie Stackhouse story!” as the main selling point of the collection. The story follows the events that occur when Sookie helps to renovate the nursery in Tara’s house. The story features Sam and Tara’s nanny Quiana, who conveniently also happens to a psychic, and involves what happens when they disturb a ghost from its rest. The story is a lacklustre effort. Quiana fails to engage the imagination, whilst Sookie’s trademark Southern charm seems to have disappeared completely. This humourless and seemingly pointless story adds nothing to the Sookie Stackhouse universe generally. 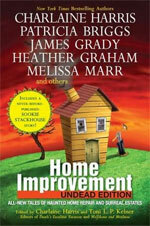 Concentrating on the positive aspects of the Home Improvement anthology I’m pleased to say there are four top quality stories in the collection, each rating 5 stars in their own right. Patricia Briggs gives readers the best vampire story in this anthology with “Gray”. 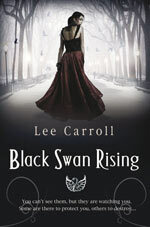 The story is bittersweet, it’s the tale of a vampire returning to her mortal home and yet the author turns what could have been a very sad tale into an exciting slice of fantasy love story. “Full-Scale Demolition” by Suzanne McLeod is a prequel to her Spellercrakers.com series – making it both the perfect introduction to the Spellcrackers characters for new readers and a treat for established series fans. Set in London, the story sees series protagonist Genny Taylor doing some pest control (catching pixies) in Trafalgar Square before matching wits with a hungry child-eating lamia. Using the short story format to good advantage Suzanne McLeod gives readers a satisfying fully-formed mystery full of fantasy action – guaranteed to leave readers asking for more lengthy Spellcrakers.com adventures. “In Brightest Day” by Toni L.P. Kelner manages to successfully utilize the short story format to combine fantasy with murder mystery to deliver a cracking story that features a professional houngan (someone who raises the dead via voodoo) and her latest client – a dead architect who has been returned to (un)life as a zombie in order to finish his star project – the renovation of a historical house for charity. The mystery is who’d want to kill a zombie that’s already dead…? My personal favourite in this collection was “Woolsey's Kitchen Nightmare” by EE Knight. This story is a play on “Gordon Ramsey’s Kitchen Nightmares” – but with less swearing. Just imagine that Gordon Ramsey was some kind of dark fae who’s a wiz at dishing up human entrees and who takes on consulting jobs to turn around the fortunes of failing restaurants around the world. These restaurants are staffed by, and serve, a non-human clientele and the opportunities for grisly humour abound. This is an example of short story perfection, it’s a unique tale with a twist, achieved with minimal world-building and carried by its strong characters. Absolutely brilliant! Whilst there are no bad stories in the Home Improvement: Undead Edition anthology there are a number of decidedly average ones. Personal taste will probably dictate which stories are your favourites but if you’re an urban fantasy fan there is a good chance that something here will appeal. After all if you didn’t like tales of vampire detectives, home-security conscious wizards, zombie architects and possessed houses that can drive you mad you probably wouldn’t be reading this review in the first place! Here’s a list of all the anthology’s contents along with individual star ratings. Average rating for the anthology as a whole: 4 stars.